The primary purposes of this site are to provide information about my research and teaching, and to share some of the results of my family history research. Although it has proved irresistible to add a few other things, its content relates largely to specific interests - teaching, family history, singing, and the arts - and it does not, on the whole, stray into more personal territory. This page, however, gives a brief biography and some information about various places I've lived and institutions I have been connected with. I'm a strong believer in the opportunity the internet provides not only to share information but also to document aspects of people's life, work and beliefs which might otherwise remain inaccessible. That doesn't change the fact that this website is an act of vanity and self-indulgence; but I nevertheless hope it's of interest and value to at least some people! I live in Oxford and make my living by teaching English and a variety of other activities to do with English teaching, including writing, editing, research and training teachers. I was born in Nottingham in 1963 and lived there for 20 years before moving to Cambridge in 1983 to go to university. I stayed in Cambridge for the next 20 years, before moving to Oxford in 2003. I was a full-time English teacher from 1988 till 2001, and then became a freelance educational writer and researcher, whilst continuing to teach part-time at sixth form level (and some KS3 Latin!). I completed a PhD in English and Education at the University of London in 2009. I'm interested in lots of things - music, literature, language, culture, the arts, education, politics, etc. I am an avid consumer of music, theatre, film, etc. I read The Guardian every day, and listen to Radio 4 a great deal. Now Lovell House, the infant school of Nottingham High School, this was my infant school - Waverley House PNEU School in Nottingham. It was an interesting place, one of a series of independent primary schools affiliated to the PNEU (Parents' National Educational Union), which was founded in the 1880s by a visionary educationalist called Charlotte Mason. The PNEU's motto was 'I am, I can, I ought, I will'. My education there was characterised by most of the elements of Mason's curriculum - 'living books', 'narration', 'stories', 'picture study', 'nature study', 'poetry', and specific approaches to handwriting and composition. I was at Nottingham High School from the age of 9 to the age of 19, first at the junior school and then at the senior school. The school was founded in 1513 as a 'free school', though at some point in its later history it became a fee-paying independent day school. The school's motto, somewhat disturbingly, is 'lauda finem' which means 'praise the end.' It provided a traditional independent day school education. One of its most distinguished ex-students was D.H.Lawrence, whose name is carved on the wall of the tower room. I was an undergraduate at St Catharine's College, Cambridge, from 1983 to 1986. Founded in 1473, it's a small college next door to the more famous King's College in the centre of Cambridge. I read English (despite not having done English A Level - my A Levels were Latin, Greek and Ancient History). In 1988, I spent 6 months studying in the English department at the University of Illinois in Champaign-Urbana in the mid-west. As a graduate teaching assistant, I taught 'Rhetoric 101' to first year undergraduates. And that's what started me on a teaching career. At Christmas, I decided to go home and train to be a teacher. I trained to be a teacher at the Department of Education at Cambridge University, now part of the Faculty of Education. The rather splendid building in which the faculty is now based (left) did not exist in 1988/9; my course was based in the department building opposite Peterhouse on Trumpington Street. I now go back to the Faculty every year to lead a workshop for PGCE English students on teaching literature. This is where I did my PhD. The Institute of Education, a major centre of research and teacher training, is part of the University of London . The building - in Bloomsbury - is by Denys Lasdun, who was also responsible for the National Theatre. The English department at the Institute was the birthplace of modern approaches to English teaching, emerging from the work of James Britton, Harold Rosen, and others. Villiers Park is an educational charity in the village of Foxton near Cambridge which exists to help school students to achieve their potential and promote widening participation in university education. I was involved with Villiers Park in 2005 when I taught a week-long residential course for A Level students intending to read English at university, a very interesting experience in many ways. The charity has a fascinating history, having been founded in 1924 to run the Eton Manor Boys' Club in Hackney - a social and sports club for East End boys set up by old Etonians in 1909. Eventually, the charity began to offer the boys residential educational courses in the countryside, and this work eventually led to the educational trust of today. 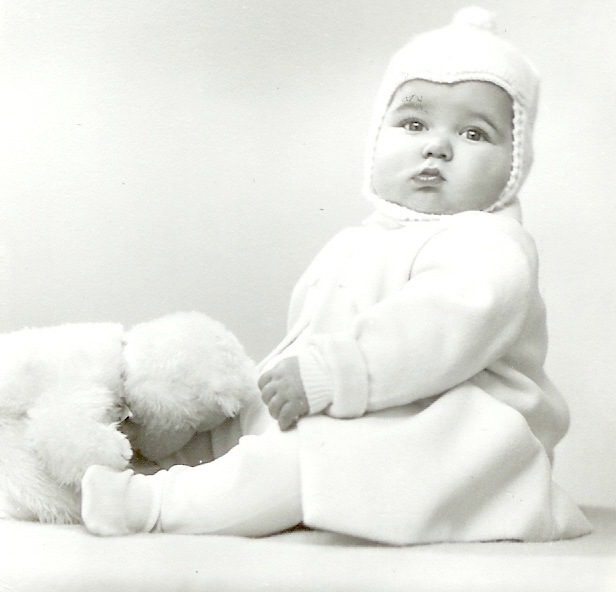 I was born in Nottingham on September 5th 1963. I grew up in the Mapperley Park area of Nottingham and also spent a lot of time in the Forest and Wollaton Park areas, where my grandparents lived. 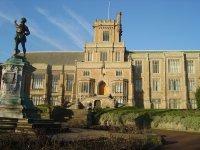 I went to school at the PNEU School and Nottingham High School, also near the Forest. The Forest was the scene of the annual Goose Fair, which dates back to around 1200, and was originally held in the medieval market square (left), the largest market square in the country. I went to Cambridge University in 1983 and ended up living in Cambridge for 20 years (apart from a brief spell of 6 months at the University of Illinois in the US in 1988). I trained to be a teacher at the University Department of Education, and then taught at the Netherhall School, Impington Village College and Parkside Community College. I moved to Oxford in 2003, and have lived in vibrant East Oxford ever since. Within two minutes' walk of my front door are two brilliant pubs, The Magdalen Arms and The Rusty Bicycle; two venerable Oxford institutions, The Pegasus Theatre and The Magic Cafe; and two rather wonderful new cafes, Oxfork and The Cous Cous Cafe. 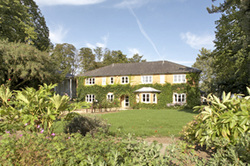 I teach nearby at The Cheney School, Headington, and for Oxford Study Courses. Iffley Meadows are close by, and I like to go running in the meadows by the River Thames there and through Iffley village, where there is one of the finest Norman churches in the country (left). Netherhall is where I had my first teaching job, from 1989 to 1992. At the bottom of Lime Kiln Hill next to the Cherry Hinton chalk pits, it's a large 11-18 comprehensive school on the edge of Cambridge which takes students from the well-to-do suburb of Queen Edith's Way and the rather less well-to-do ex-villages of Cherry Hinton and Trumpington. Living in Trumpington, I used to cycle across the fields behind Addenbrooke's Hospital to get there every morning. Impington Village College is a large 11-18 comprehensive school on the edge of Cambridge. I taught there from 1992 till 2003, and was Head of English there until 2001. The college was built in the grounds of the demolished Impington Hall, which had been the home of the Pepys family, and then the Chivers family. Chivers still grow fruit for their jam on the neighbouring farm; I used to go and buy strawberries there on my way home in the summer! IVC has a distinguished history. It was founded by the visionary educationalist Henry Morris in 1939, one of the earliest of the new 'village colleges' which Morris instituted in Cambridgeshire to improve educational provision in the villages, before the provisions of the 1944 Education Act. Morris commissioned the Bauhaus architect Walter Gropius - who had fled Nazi Germany - to build the college on 1936. It's Gropius's only building in Britain, now Grade 1 listed, and frequently visited by architects! (See here for a fascinating history). Morris's visionary and international outlook was reflected in the philosophy and curriculum of the school, and, in 1990, the school became the first state school in the UK to introduce the International Baccalaureate in the Sixth Form. The International Sixth Form attracts students from all over the world, as well as throughout Cambridgeshire and surrounding counties, giving the school an unusual and fascinating cosmopolitan atmosphere for a village comprehensive. Parkside Community College, now part of the Parkside Federation, is a small 11-16 comprehensive school in the centre of Cambridge, in a picturesque location on Parker's Piece, where I taught part-time from 2001 to 2003. The school was the first to become a Media Arts college, and Parkside Media has been instrumental in developing approaches to media education in schools. I am now teaching part-time in the sixth form at Cheney School in Headington, Oxford, a large 11-18 comprehensive school close to where I live in East Oxford. The school is situated in a very picturesque spot next to Oxford Brookes University at the top of Headington Hill, from which there are famous views over the 'dreaming spires' of Oxford. It's a school with a very varied and multicultural intake, drawing both from the affluent Divinity Road area next to the school and the less affluent but vibrant and multicultural Cowley Road area at the bottom of the hill. For a number of years, I've been teaching I.B study courses for an organisation called Oxford Study Courses. OSC is a charity which exists to promote internationalism in education and to fund education development in developing countries. The courses, which take place in Oxford and Cambridge colleges during the Easter and Summer holidays each year, attract teachers and students from International Schools around the world.